See the descriptions below, then SIGN UP HERE! Pick-up site locations can be found on the PICK-UP SITE Locations page. 5 different Summer Share Options to choose from! Find out What’s in the Cost of a GEF Share? Estimated to be once a week early-mid June through mid-late October. Like the Medium Produce Share, the Small Produce Share is an estimated 20 week delivery for folks who want produce on a weekly basis but want less than the Standard Share offers (Contents in the Small Share are about 65-70% of the Medium Share.) This share is expected to meet most of the produce needs of 1 – 2 people eating a diverse diet, or vegetable light households. See our Example CSA Shares page for more details. Our “Standard” and most popular summer produce share option! Expect to receive an estimated 20 weekly shares of fresh seasonal produce from approximately mid-June to mid/late-October. The Medium Share is our standard, and is planned with the aim of providing most of the produce needs of one household of four (2 adults, 2 children) with a diverse diet, or 2 people eating a mostly plant-based diet. But, of course, people differ widely on the amount of produce they eat. See our Example CSA Shares page for more details. 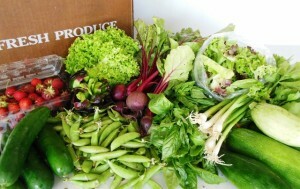 The Large Produce Share is the biggest weekly share that we offer. It’s a monster of a share, and is generally the combined amounts of the Small and Medium shares. We suggest the Large Share for large families, serious vegetable lovers, vegetarian families, or for folks who want to put some food away for winter. An estimated 20 weekly shares. See our Example CSA Shares page for more details. Estimated to be every other week early-mid June through mid-late October. The EOW Medium Share is the Medium Produce Share only delivered every other week for an estimated total of 10 shares. It is planned to meet most of the produce needs of 1 – 2 people eating a diverse diet, or vegetable light households. 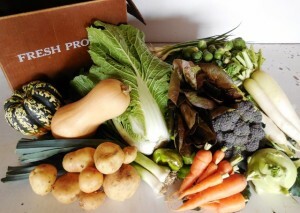 The EOW Small Share is the Small Produce Share only delivered every other week for an estimated total of 10 shares. Eat Local Longer! Our Autumn Season starts after our Summer Season ends and runs into December. Don’t be sad when your Summer CSA is over! Getting local organic produce from your Good Earth farmers doesn’t have to end just because the warm months have past. 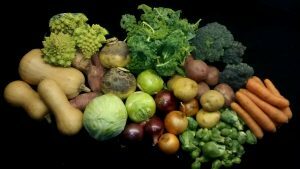 We expect the share to include crops like onions, carrots, potatoes, pie pumpkin, winter squashes, Brussels sprouts, beets, broccoli, kale, lettuce, cabbages, greens and/or others in order to “mix it up”— so each box is somewhat different and nourishing and sustaining! Please note that due to cold weather in late autumn, Autumn Season Shares might be a different pick-up site than Summer Season Shares. An every-other week delivery of 1 pound of certified organic mushrooms for a total of ten deliveries. Choose from either all buttons, all crimini (baby ‘bellas), all portabellas, or the combo share (alternating week’s of crimini and button). The mushrooms come from local organic mushroom farm, Gourmet’s Delight. For 2019 we will offer Midwestern fruit as an add-on throughout the growing season. 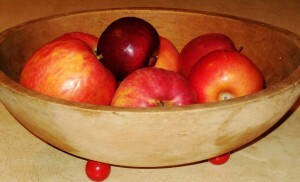 An email will be sent out to CSA members as the fruit becomes available during the season. At that time members can choose if they want to order and how much they want to get. The seasonal fruit will be from Midwest farmers (the fruit is not from our farm). Generally we partner with fruit farmers who use organic, sustainable, and/or IPM (Integrated Pest Management) methods. Not all of the fruit is certified organic. 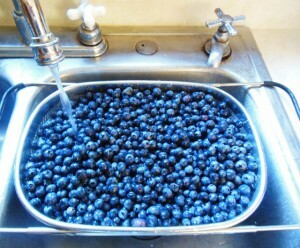 The fruit will be offered in bulk. What is the Food-for-Others Share? It is very important to us that fresh and nutritious produce be available and affordable to everyone. The Food-for-Others Share makes joining a CSA farm more affordable. We believe that farmers should receive a fair price for their produce, but for some folks, that cost in a single CSA payment or even two payments is just too much. The Food-for-Others Share is GEF’s cost sharing program that provides financial assistance to limited income households for purchasing CSA produce shares. For eligible households, we will contribute up to $300 toward Good Earth Farm shares. The participants take on the responsibilities of being a CSA member of the farm and work with us to create an affordable payment plan for the remaining cost of their share. The Food-for-Other Share is funded by donations from other Good Earth Farm CSA members to offer this cost sharing opportunity. Funding and availability of CSA shares through the Food-for-Others Share is limited. Therefore, we encourage all interested households to contact us to check availability and request a Food Share Application. Requests for assistance are granted on a first-come, first-served basis. Application deadline is April 15th. We recommend getting FFO Share applications in early before the CSA fills up or funds are exhausted. Keep in mind that not all CSA farms are the same. Each farm is unique. A few questions to ask when considering a CSA farm: How many weeks the CSA is expected to run? 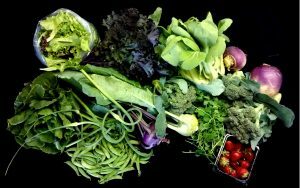 How much produce is expected each week? Is the produce certified organic? Other considerations: Newsletter/Communication? Farm events? Extras offered? What else is important to you? Ask yourself. Ask the farmer. Find the right farm for you!